Chrono Aviation has added and unveiled its first Boeing 737-200. It is largest jet to ever be based at Saint-Hubert Airport in Quebec, Canada. The first Boeing 737 is the pictured Boeing 737-219C C-GTVO (msn 22994) and was originally delivered to Air New Zealand as ZK-NQC on December 2, 1982. The morning of August 30, 2018 at the Aéroport Montréal Saint-Hubert Longueuil (AMSL), Chrono Aviation unveiled its first Boeing 737-200. With this acquisition, Chrono Aviation becomes one of the few companies to offer an aircraft of that size for chartering. The jet can carry around 120 passengers or various combinations of passengers and cargo. 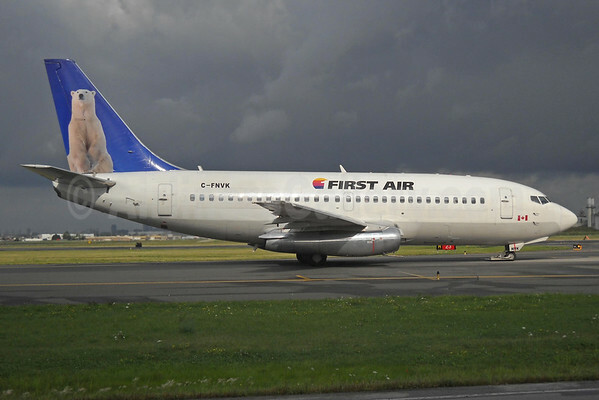 The addition of this first 737-200 to our fleet marks an important step in our company’s growth and allows us to strengthen our position at the head of the air charter industry in Québec. The plane is the first Boeing in a fleet set to expand rapidly—as a matter of fact, a second 737 200 is coming in November. Chrono is investing over $12 million into its two aircraft to completely refurbish them, paint them in the company’s trademark matte black and build entirely new interiors for them. Since the company was founded, Chrono’s distinctive matte black planes have stood out in the North American aviation industry. “Whether in Québec, Canada or the US, people notice our planes and talk about them,” said Dany Gagnon, Vice-President of Chrono Aviation. 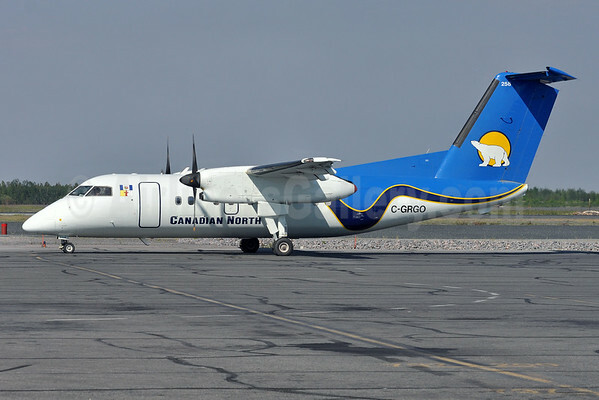 “As you can imagine, the 737, being three times the size of the Dash 8, is going to turn a lot of heads!” With a 737 to its name—and a second one coming soon—Chrono Aviation continues its meteoric rise to the pinnacle of Canada’s aviation industry, which it started nearly six years ago now. Chrono Aviation was founded in Québec City in 2012. Chrono Aviation is an ambitious and innovative company that specializes in air charter. The company is based in Montréal, Québec City and Rimouski, and its primary mission is to provide passengers with a superior level of safety. It stands out from the competition by offering an upmarket service with modern, cutting-edge aircraft. After only six years in business, Chrono Aviation has over 107 employees and a fleet of 14 aircraft. In recent years, the company received two prestigious awards at the annual Fidéides gala, a Trophée Vision and an award at the Mercuriades. Chrono Aviation continues to expand and strengthen its position at the head of the air charter industry in Québec. All photos by Chrono Aviation. This entry was posted in Chrono Aviation and tagged 737, 737-200, 737-200C, 737-219C, Boeing 737-200, C-GTVO, Chrono Aviation on September 1, 2018 by Bruce Drum.